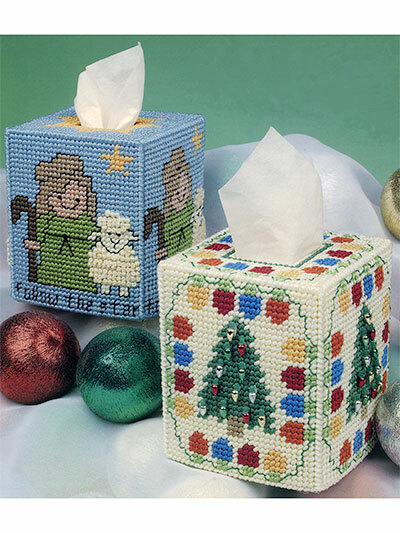 Here's a holiday Christmas pattern for your tissue box that will be a great centerpiece anywhere in your home! It looks like someone wants to go outside and play in the snow! Use your imagination or decorate in the colors as shown. 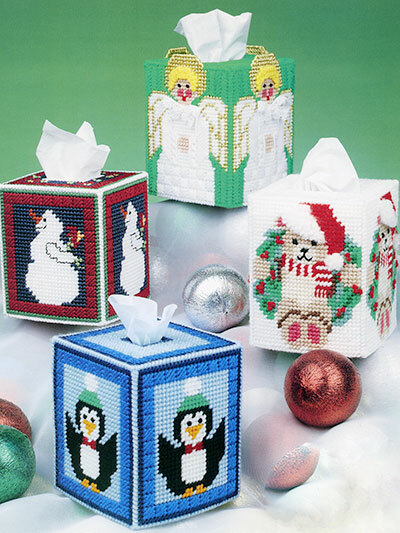 This adorable tissue box cover and ornament set is made using white 14-count plastic canvas, worsted-weight yarn, 6-strand embroidery floss, cord and beads. 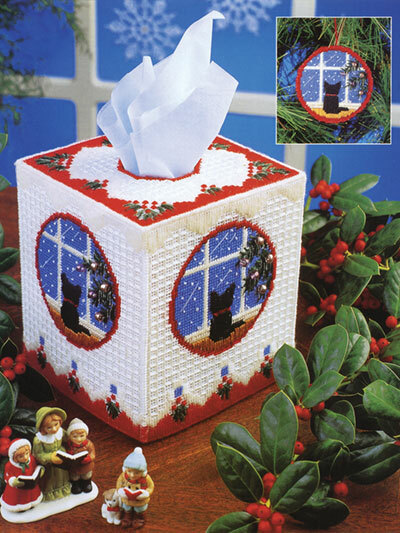 Sizes: Tissue Box Cover fits a boutique-style tissue box; Ornament is 3 1/2"T without hanging loop.